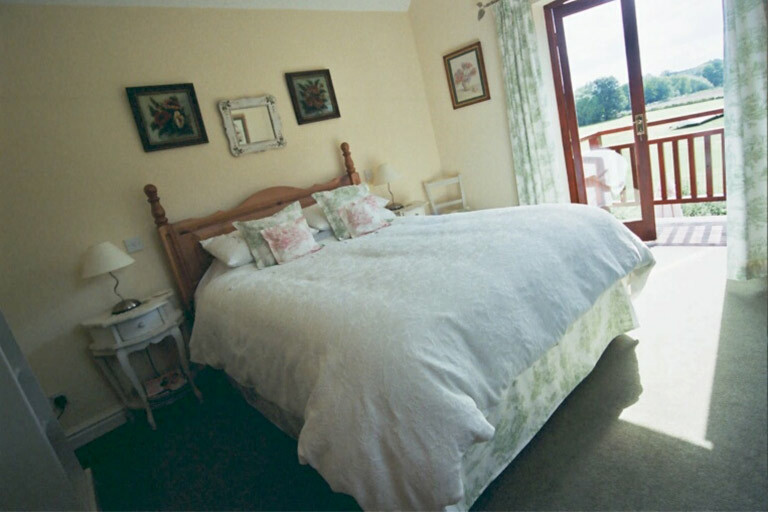 Available from £95 per night, our biggest room is a mini-suite decorated in a French style with a modern twist. Antique pine furniture, blends with distressed painted pieces – all combined with toile de jouy fabrics and delightful flower paintings. With a super-king sized bed which can convert to twin beds and a balcony overlooking the cricket field and valley, this room promises a relaxing sojourn from hectic life. En-suite bathroom with separate shower over bath.